"Designed to treat adult acne and the needs of adult skin. - Nylon"
Following the removal of PreCleanse, work a pea-sized amount into a lather in wet hands. Apply to dampened face and throat, massaging in circular motions while concentrating on areas of congestion and oiliness. Avoid eye area. Rinse thoroughly with warm water. 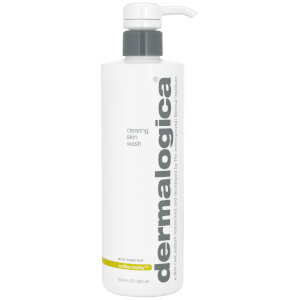 Follow with Skin Purifying Wipes and prescribed MediBac Clearing regimen. active ingredient: Salicylic Acid (0.5%). ingredients: Water/Aqua, Cocamidopropyl Betaine, Disodium Cocoamphodiacetate, Sodium Lauroyl Methyl Isethionate, Melissa Officinalis Leaf Extract, Angelica Archangelica Extract, Echinacea Angustifolia Extract, Allium Sativum (Garlic) Bulb Extract, Chamomilla Recutita (Matricaria) Flower Extract, Eucalyptus Globulus Leaf Extract, Salvia Officinalis (Sage) Extract, Passiflora Incarnata Extract, Citrus Medica Limonum (Lemon) Peel Extract, Hamamelis Virginiana (Witch Hazel) Extract, Ophiopogon Japonicas Root Extract, Echinacea Purpurea Extract, Melaleuca Alternifolia (Tea Tree) Leaf Oil, Lactic Acid, Algae Extract, Menthol, Sodium PCA, Dipotassium Glycyrrhizate, Camphor, PEG-120 Methyl Glucose Dioleate, Phenoxyethanol, Butylene Glycol, Benzyl PCA, Disodium EDTA Copper, Citral, Limonene, Geraniol, Citronellol. Prior to using Clearing Skin Wash my face was a mess - embarrassing pimples in my 30s. This has cleared my skin significantly and I now use it religiously. 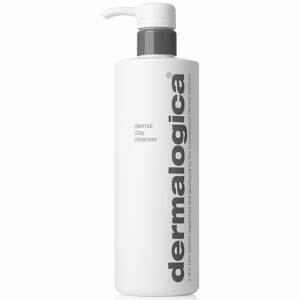 Loving this clearing cleanser. I have had problem skin for my whole life and this is the only product that's ever been able to get it under control. Totally amazing and excellent price!